This site was built on NationBuilder using the MaterializeCSS framework. The vision of Our Family Farms is simple -­ we work to create thriving communities by promoting and protecting family farms and traditional seeds from the threats of genetically engineered (GE) crops. A WordPress site utilizing the Kwoon theme. 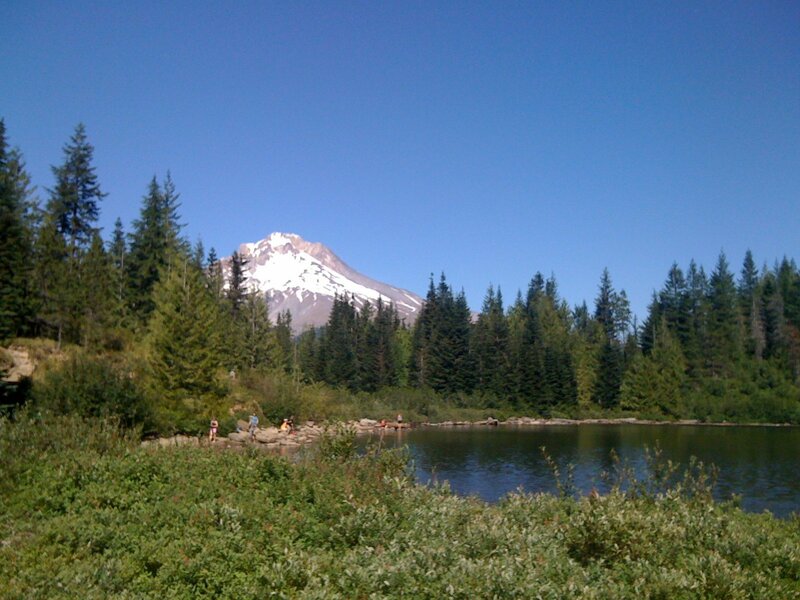 ChangePoint, Inc. is a drug and alcohol counseling agency with offices in Vancouver, WA and Beaverton, OR. This is a WordPress site based on a child theme of the Twentyfifteen theme. Dr Marian Fish practices chiropractic medicine in Portland, Oregon. Neon Gods is a vintage and neon sign repair company located in Portland, Oregon. Its is worth checking out their site just to see the devine work that they do. This site is powered by WordPress. his is a multilingual WordPress installation that uses the WPML localization plugin. Las Plumerias is located in Popoyo, Nicaragua. Looking at all their action surfing pictures makes me wish I could go there myself right now. This site is powered by WordPress. Handmade Gardens: human-powered edible, medicinal and native organic land care in Portland, Oregon. This site is powered by WordPress. Cuba News Today is a production of The Cuba Education and Research Foundation. Our goal is to provide accurate, insightful analysis backed by research and mainstream sources. This a media site that is powered by WordPress. LWV of the St Petersburg Area, as well as all of the LWV chapters around the US, play a vital role in educating voters and protecting our right to vote. This is especially important now that voting rights are under attack in so many parts of the country. This site is powered by WordPress. The 2014 Voter Guide for North Pinellas County, Florida is great example of the important work done by the League of Women Voters. WordPress turns out to be a very good tool for organizing information about candidates and office holders. This site is powered by WordPress. Portland Rising Tide is a group with which I am a proud and active participant. Rising Tide is an international network of local groups confronting the systemic injustice that has led to the climate crisis. In addition to site design and maintenance, I contribute some of the content. This site is powered by WordPress. Portland Alternative Dwellings provides books, plans, and workshops that enable people to build tiny houses. I did not develop this site. I help when extra functionality is needed and on setting up various aspects of Google Analytics. For example, I set up event tracking on outgoing links so that they can track referrals to their associated contractor websites. This site is powered by WordPress. This a WordPress site based on a Kwoon child theme. It supports donations and memberships through the integration of the MemberPress and Give plugins. This site was built with NationBuilder. The Local Water Alliance successfully passed a ballot measure to ban the export of water from Hood River County, Oregon, effectively blocking a bid by Nestlé to privatize one or our most precious public resources: water. 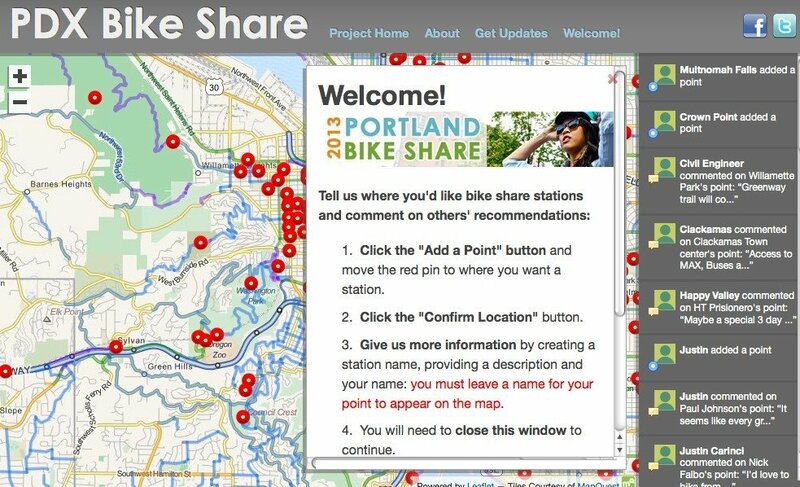 This project for the Portland Bureau of Transportation entailed installation of a crowd source mapping framework called Shareabouts, which was developed by OpenPlans. At the time the application was implemented in Ruby on Rails. Some customization was necessary in order to provide a map layer of Portland area bike routes. The purpose of the project was to get crowd input regarding the best locations to install bike share kiosks. The map is no longer up at this time. The Hospitality plugin for WordPress is intended to be used by hotels, motels, resorts, and other businesses to manage the display of information about rooms and meeting spaces. It is still a work in progress, but I am near completion on a WordPress plugin that enables speech and thought bubbles to be displayed over arbitrary images. The code can be viewed on here on github. I performed a Linux server move for Sirius Link from one cloud hosting provider to another. The most challenging part of the project was reimplementing mail services based on sendmail to dovecot/postfix, including LDAP-based user authentication. This was another Linux server move though smaller in scale. Oregon Outpost reports on independent politics in Oregon. I maintain my own set of servers for the purpose of providing web hosting and email services for my clients. Many of the sites listed above are hosted on TNTOW servers. If you haven't guessed already, I am a bit of an activist. 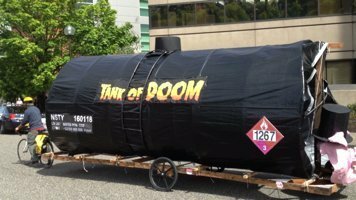 The Tank of Doom is a bike float that an very skilled carpenter and friend of mine, Mike Horner, and I built along with some help from our friends and benefactors. You can read all about it here. I love to get together and play music with people. 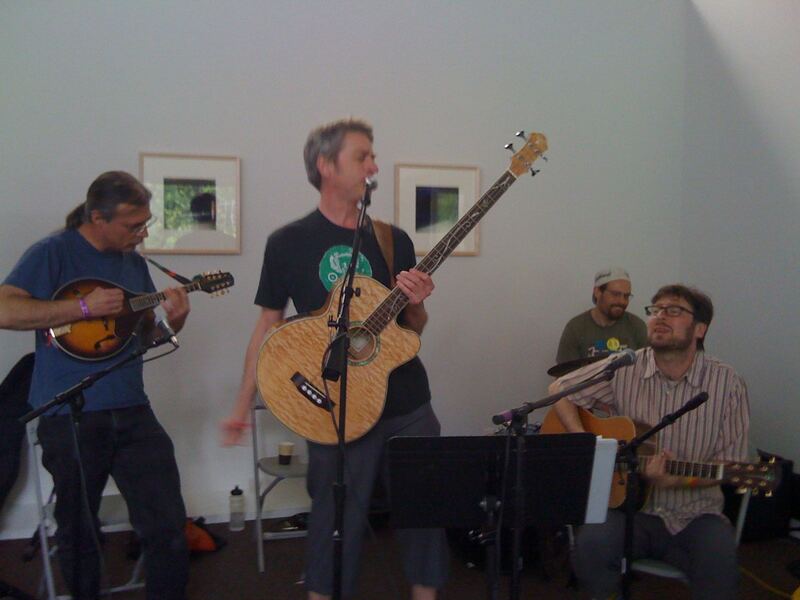 I play guitar mostly but dabble around a bit with harmonica and mandolin. Listen to my music on SoundCloud.